Her childhood didn’t feel like a life of poverty. Clark went on family vacations, never lacked for anything, and was voted Best Dressed in middle school and high school. While her family lived in a working-class neighborhood outside Harrisburg, Pennsylvania, their house had a large backyard and the dry cleaners that her mother co-owned was only two blocks away. However, as soon as Clark rode the bus into a part of town filled with garden-style townhouses that were all identical and connected, she saw what looked like poverty to her. The kids from that neighborhood always sat together on the bus. “There was something about this group I grew to fear because this place was just not a good place, and I don’t know if people would say it or what it was,” said Clark, Assistant Professor of Cultural Anthropology at Wake Forest University. 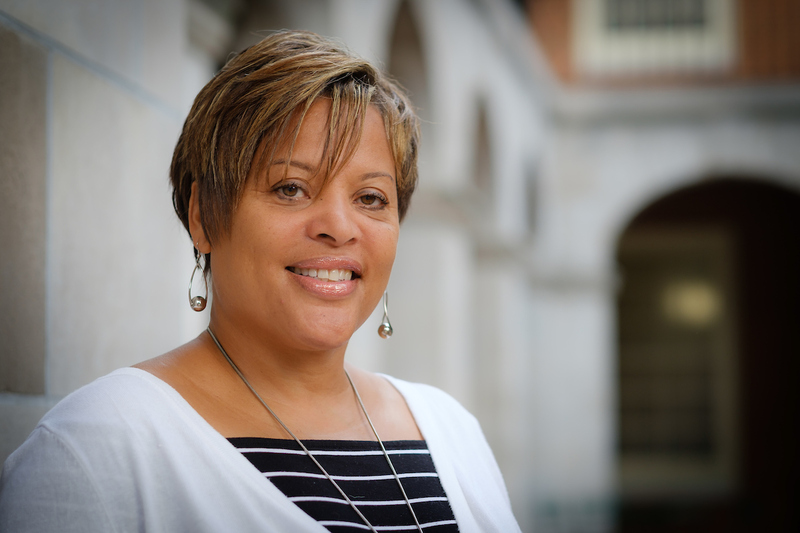 While Clark’s parents tried to shield her from poverty, her focus at WFU has been to expose her students to it – no matter how uncomfortable the topic might be to discuss in the classroom or observe in the field. Clark talks to her classes about poverty in both urban and rural settings. She encourages them to get outside of the “Wake Forest bubble” to see how issues involving poverty, race, and class impact the Winston-Salem area. As part of an ongoing study, Clark has a group of student researchers conducting interviews with residents of the Boston Thurmond neighborhood near WFU’s campus. In January, Clark was presented with WFU’s “Building the Dream” faculty award, given annually to a faculty member who exemplifies Martin Luther King Jr.’s qualities and promotes diversity within the Winston-Salem community. Clark was initially interested in studying inner city violence. However, as soon as she arrived at American University for graduate school, professor and urban anthropologist Brett Williams told Clark that her focus was too broad. Williams asked Clark to join her project with the Department of Housing and Urban Development that examined ways to revamp the nation’s public housing system. Williams thought the project would help Clark make the connection between housing and inner city violence. At the time, Clark was working as a youth summer program director for a nonprofit organization that was based in a public housing development in Washington D.C. A kid in the program was shot and killed during Clark’s first summer of graduate school. Clark recently submitted a book manuscript about poverty and the law that she co-wrote with Steve Virgil, the Executive Director of Experiential Education of WFU’s law school. The book is scheduled to be published next year. Clark wants to encourage productive dialogue on taboo social issues. In her Roots of Racism course, she has her students establish the rules for classroom discussions. Profanity isn’t permitted, and her students come up with a list of topics that might offend them. That list is written on the board. Everything else is fair game. “Through using her wit, humor, and sometimes sarcasm, [Dr. Clark] facilitated discussions around serious issues like diversity, race, class, inclusion, capitalism, and gender,” said Aditya Mudigonda, a senior Anthropology major.